This guest article is written by Dave McMullen, Partner and CEO at redpepper. 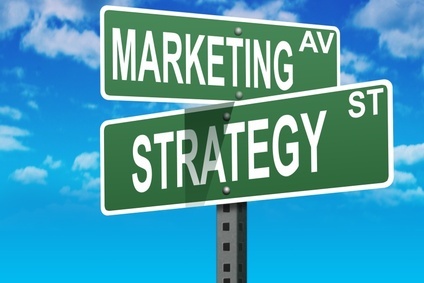 It wasn't that long ago when we were taught the key to successful marketing was focus. Sending a clear message to a well-defined target audience was the only way to build a brand. Today's marketers know that this is no longer the only way, nor even the best way. In fact, many marketers are facing an increasingly complex landscape of consumers, media platforms, and service providers that can cause them to spend more time trying to save their job than creating effective marketing. Multifarious marketing is multiple groups working toward multiple goals on multiple platforms and reaching multiple audiences with one core message. Below are a few notes on navigating the new world of "multi". Modern advertising can and should be relevant across cultures, demographics, and geographies. These days your company's message should be about your core purpose and benefits rather than the tightly defined needs of some small group. Blasphemy, I know. But don't over-define your audience by demographics. The right people will care if your reasons for existing are relevant and you're in the right places to connect with them. For instance, if you have an environmentally friendly idea (see Toyota's "Glass of Water" campaign), you'll find people who care about your message in every age group and income bracket. Live out your message in the media you choose and the campaigns you run. Using a single platform to deliver your message (whether its TV, Facebook, print, or email) is just leaving customers and sales on the table. Smart marketers now expect their plans to be integrated, but the complexity comes in ideation. The creative strategy should be media agnostic, and sometimes the medium IS the idea. The very successful Tweet-a-Beer campaign by tenfour + Waggener Edstrom must have been created in an environment where there was no predisposition to the 30 second TV spot. It's difficult to produce multi-platform ideas in the gravitational pull of mass media. Specialists are still relevant, but on a creative team you can't beat people with experience in a diverse set of areas. Most marketing teams don't conceive of ideas outside of their experience and comfort zone. If new ideas are just old ideas combined or used in a new way, people who have diverse experiences and skill sets simply have more to draw from. Design schools are hip to this and have begun turning out graduates with broad based skills and knowledge, and the best agencies are snatching them up. Nathan Fleming is a modern-day renaissance man. He's done everything from tending bar to acting and being a musician, and it all makes him a better strategist, writer, and designer. Brands have to have tactical, strategic, AND business goals measured for each campaign. ROI is tough to measure and CMOs are being pressured more and more by the rest of the C-suite to produce. Is growing a Facebook following important or is traffic on your own web site a better goal? For most brands the answer is "yes". Measured goals throughout the buyer's decision chain must be there. Tools like Geckoboard and Juice Analytics can make life easier or harder depending on your results, but at least you'll know where you and your marketing partners stand. The days of centralized control for marketers may not be completely gone, but it is growing increasingly difficult for CMOs to lead in a world with so many changing variables. A better way to manage in this new "multi" world is to become a guide for your brand and all the people that interact with it. Know what your brand stands for and keep that cause front and center. Then measure for the results you want and tweak as needed. Either that, or get really good at 'Multi" tasking.